We would like to thank the community for validating various results and sharing unexpected behavior with us via our public CK repository! 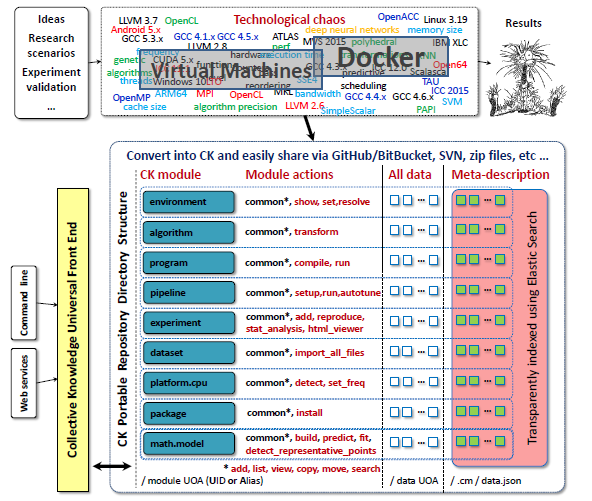 Please, check out our motivation to develop free, open-source and customizable Collective Knowledge Infrastructure (CK) for collaborative artifacts and workflow sharing and reuse. 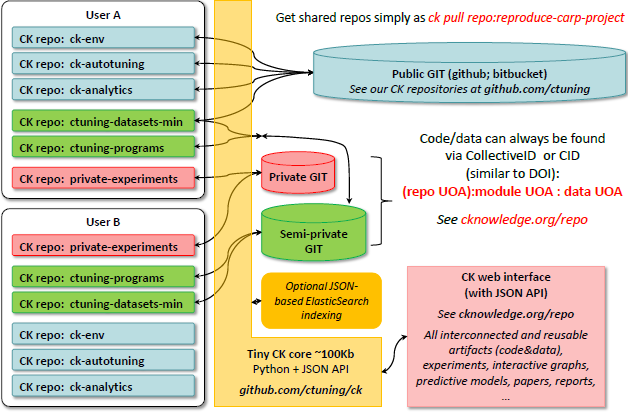 Briefly, CK allows to organize and share artifacts (code and data) as reusable Python components with simple JSON API. 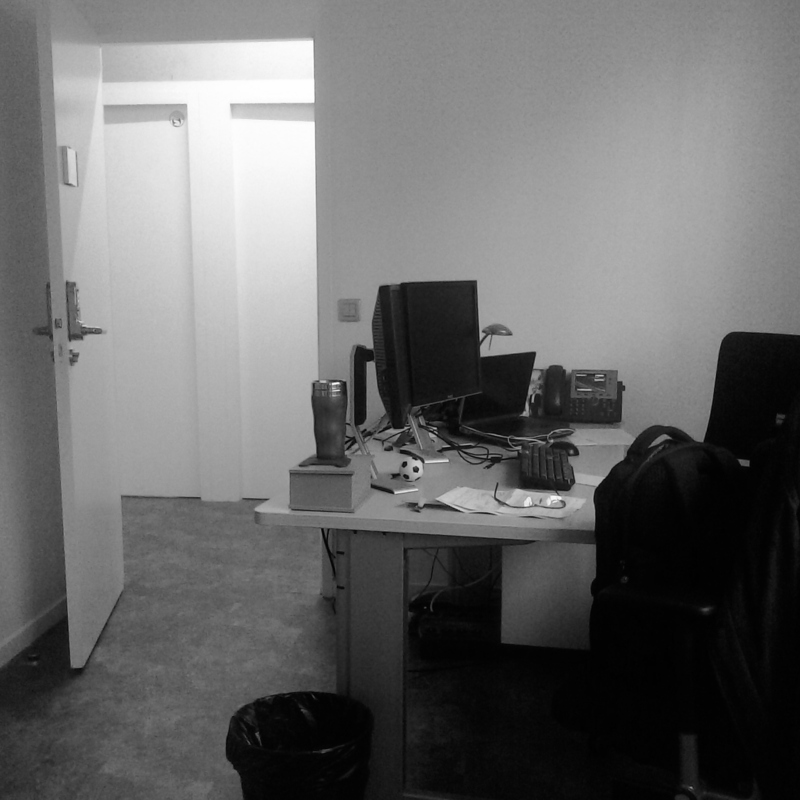 Unlike other tools, CK uses agile, schema-free and specification-free approach. 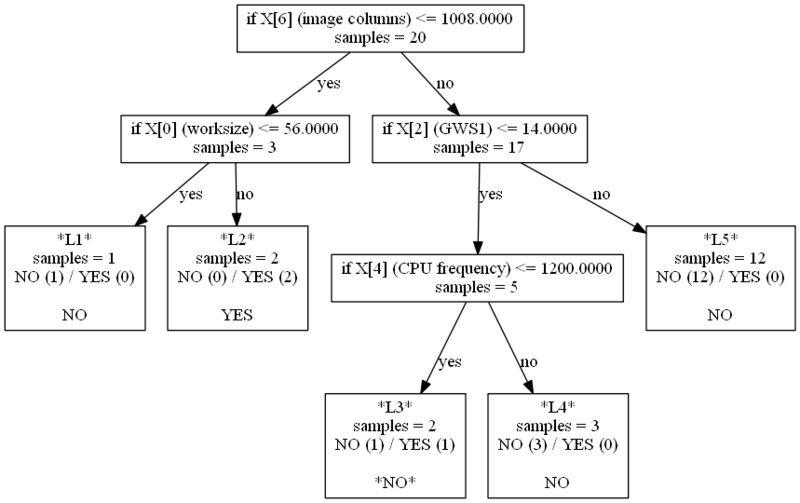 This is particularly important in computer engineering where software is changing practically every day - indeed, we need to avoid wasting months or weeks on experiment specification when experimental results may become easily outdated within days. 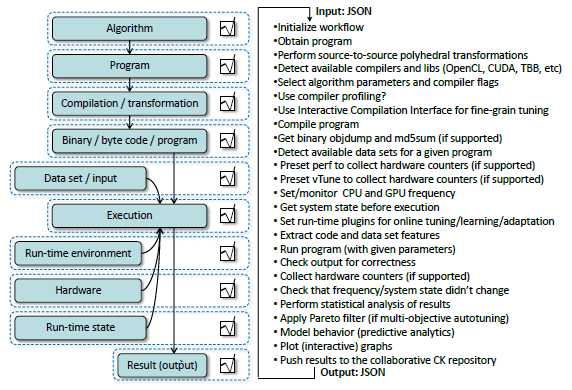 Instead, only when research idea is quickly prototyped and validated, CK allows to collaboratively add and improve meta-description of interfaces and artifacts via simple and human readable JSON format. 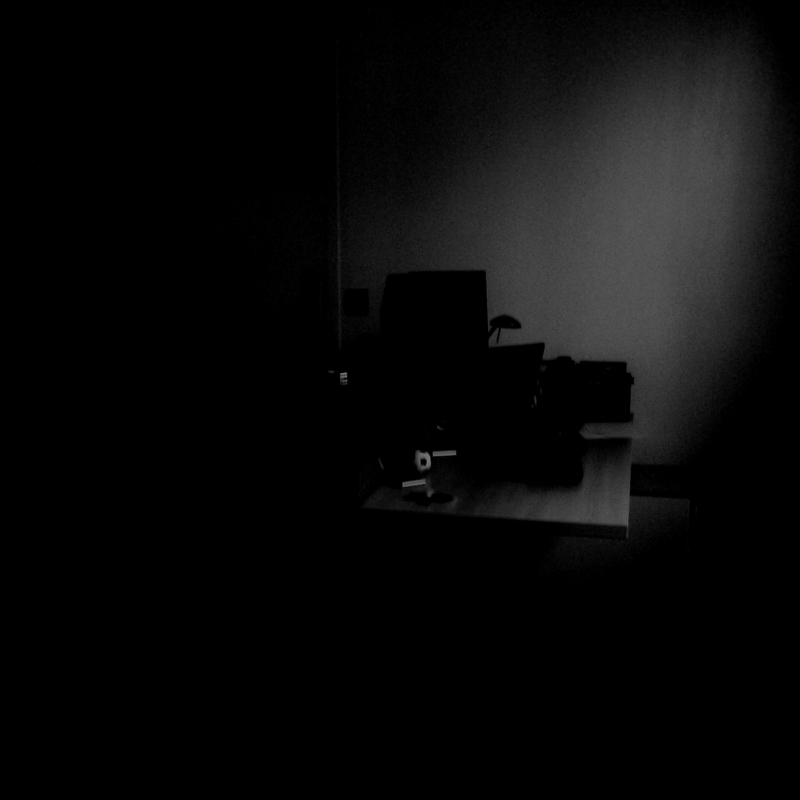 ( see the following papers for more details [1, 2]). 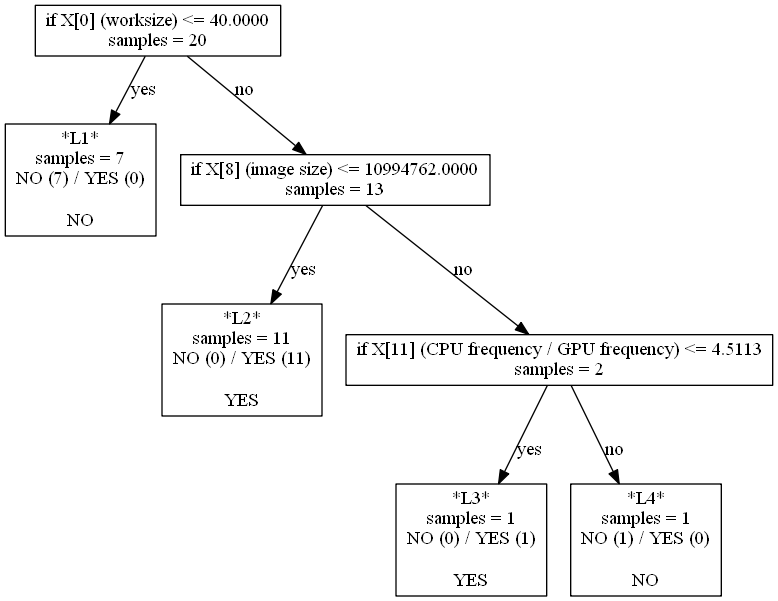 Note: we did not yet implement visualization variation in D3 graphs - help is appreciated! 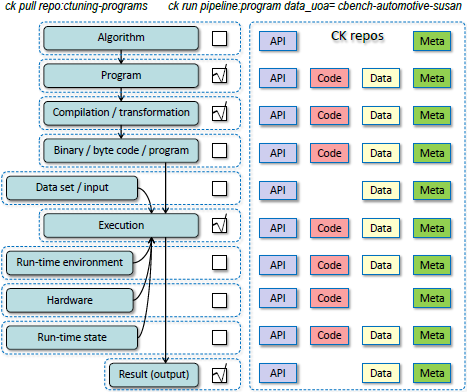 Note, that with minimal changes, we can monitor and balance any characteristics exposed via CK such as energy (currently on Odroid platforms), code size, compilation time, and anything else across multiple heterogeneous platforms on Android, Linux, Windows, MacOS, etc. 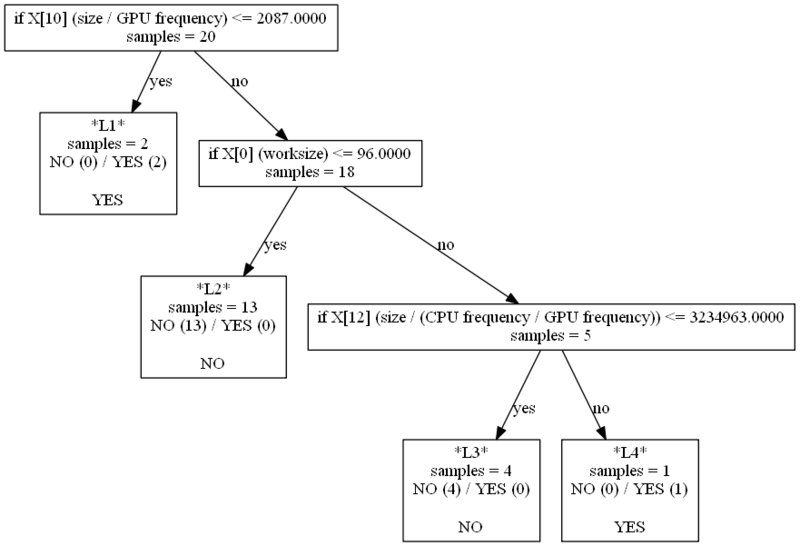 We can also tune any parameter exposed via CK such as compiler flags/passes, hardware configurations such as frequency or used cores, OpenCL parameters such as worksize, CUDA/OpenMP/MPI parameters and algorithm parameters. 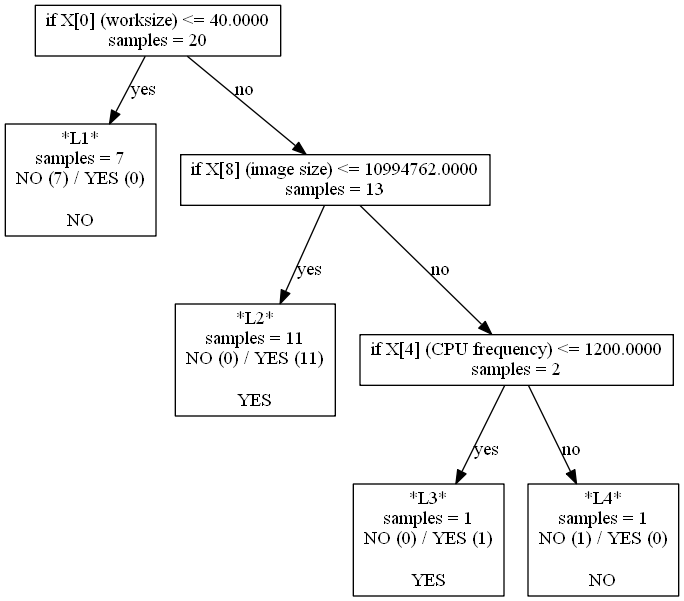 The community can gradually add and share more parameters and characteristics for tuning. 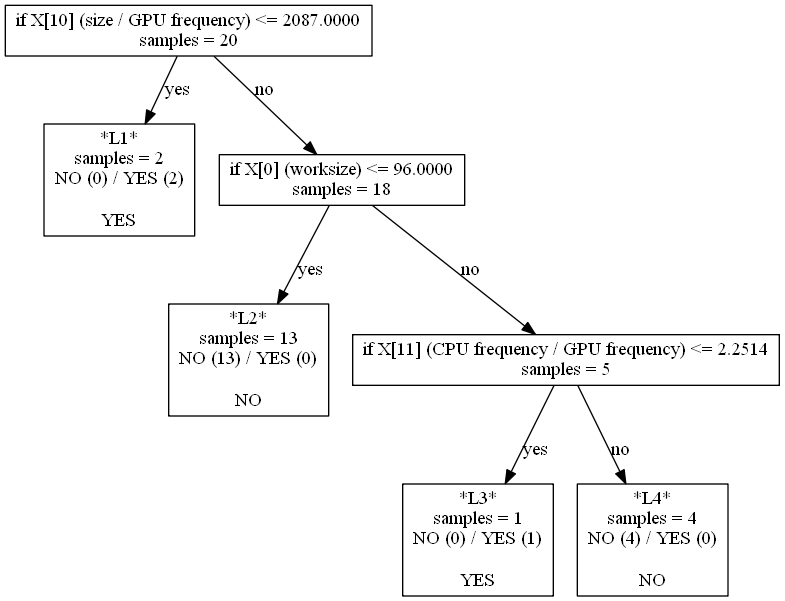 Example of experiments not executed via CK but exported to CK by Anton Lokhmotov from his scripts in January 2015 (before CK was mature enough) to take advantage of predictive analytics (active learning, decision trees, predictive scheduling). 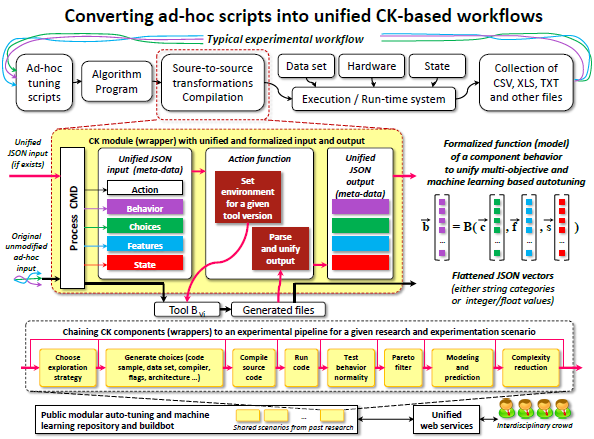 However, since June 2015, it is possible to perform the same experimentation fully in CK (see CK Getting Started Guide HOG examples). Note: CK allows the community validate the results and share unexpected behavior in public cknowledge.org/repo here. 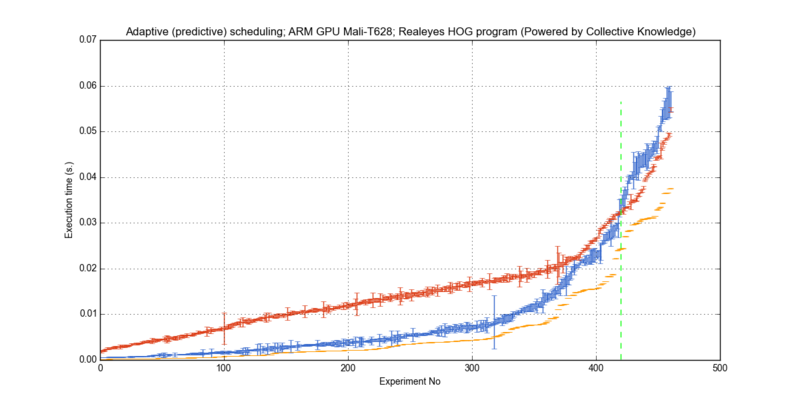 3 interactive graphs of (CPU time) / (GPU with memory transfer time) for above HOG application vs experiment number used for further predictive analytics to enable predictive scheduling at run-time (see our paper for motivation). 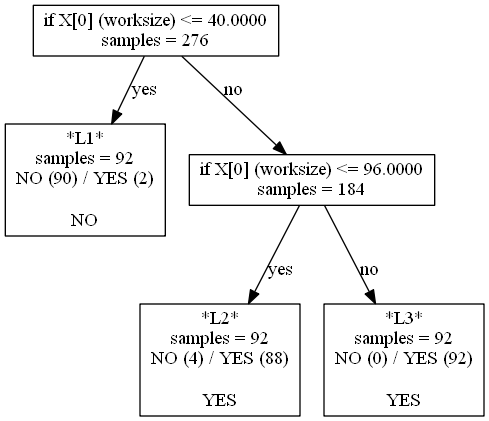 The unification of experiments in CK allows to easily connect experimental results with various powerful machine learning techniques to get help in understanding correlations between 'characteristics', 'features', 'choices' and the 'state'. 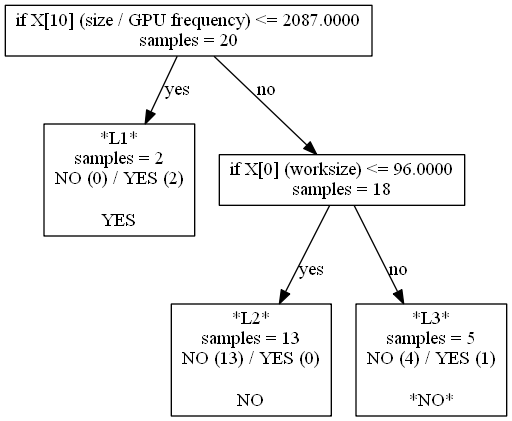 Furthermore, researchers and the community can focus their effort on explaining unexpected behavior (can be replayed in CK), finding missing features (where model fails explaining results) and improving models to make best predictions. 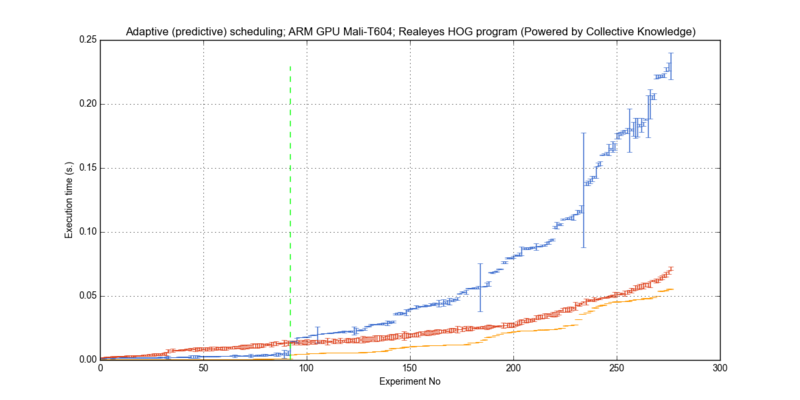 Next, we demonstrate such example, by first building predictive model for adaptive CPU/GPU scheduling for above HOG example fro Samsung Chromebook 1, then trying to reuse it for Samsung Chromebook 2, then building new model for Samsung Chromebook 2, finding better features (combinations of existing ones or new ones that were even not in the system) and getting to nearly 99% prediction rate at least on the current setup (it can be continuously improved by the community of via active learning - see our previous papers for more details , ). 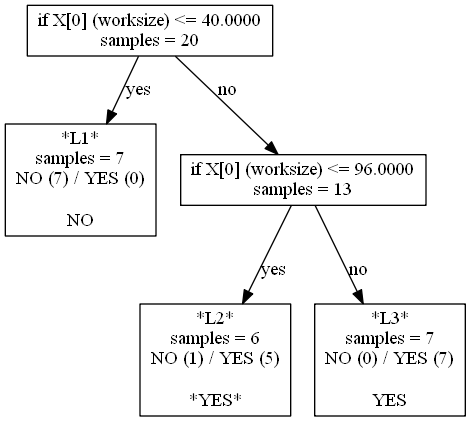 Note that a few features were enough to make nearly perfect correlations (to some extent, decision tree can be used as PCA to quickly and continuously explain correlations while exposing unexpected behavior to researchers in the workgroup or to the community to find more features and their combinations or improve models). 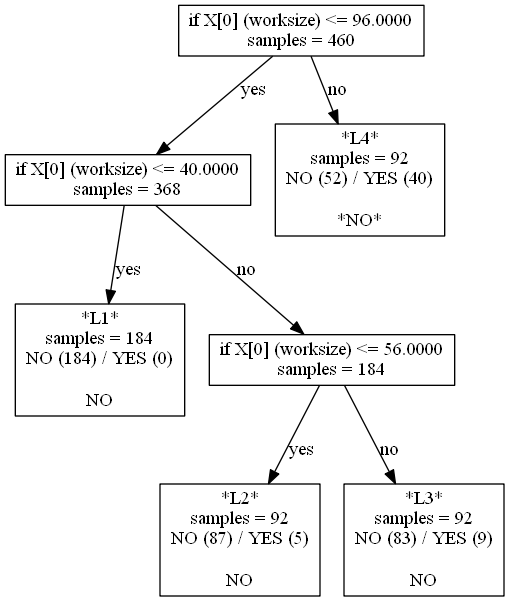 It is useful to see decision tree refinement during active learning (improving model on the fly when more points are available). 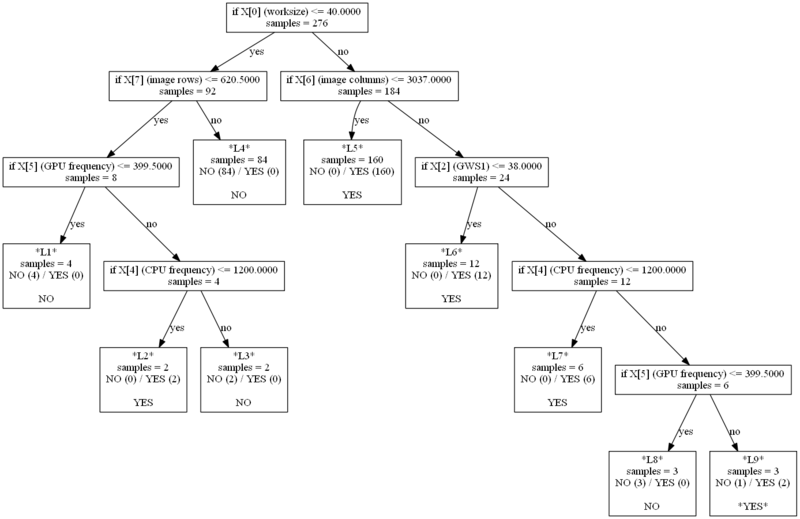 Click on the prediction rate number to see the decision tree in png (or change png to pdf in URL to see it in scalable pdf). 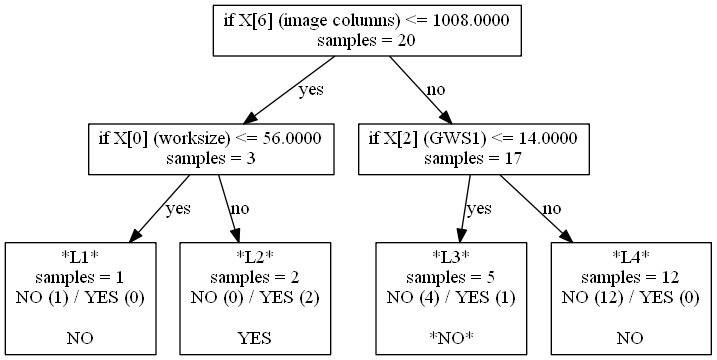 Note, that such CK generated decision tree can also be converted to C to be integrated inside adaptive wrappers for kernels. 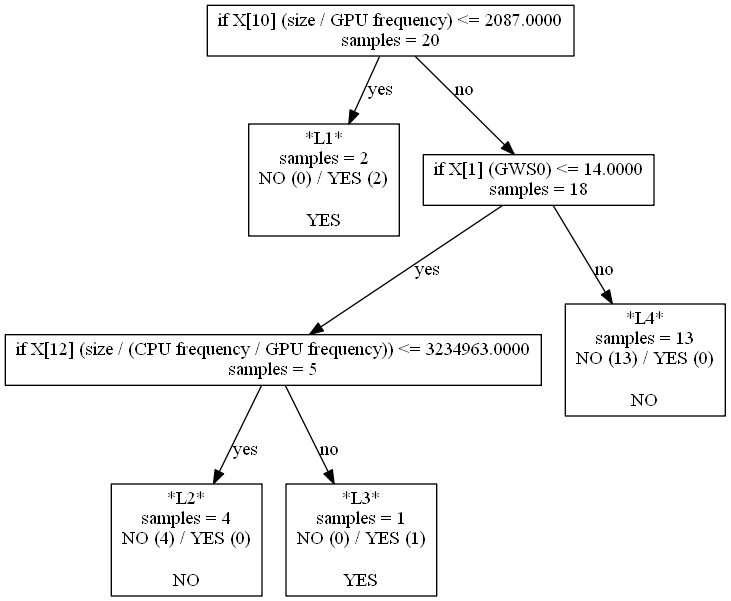 Above results support our wrapper based approach (computational species) across various most-time consuming kernels and libraries combined with exposed features and automatically built and continuously refined decision trees via CK as described in this paper and its first part. 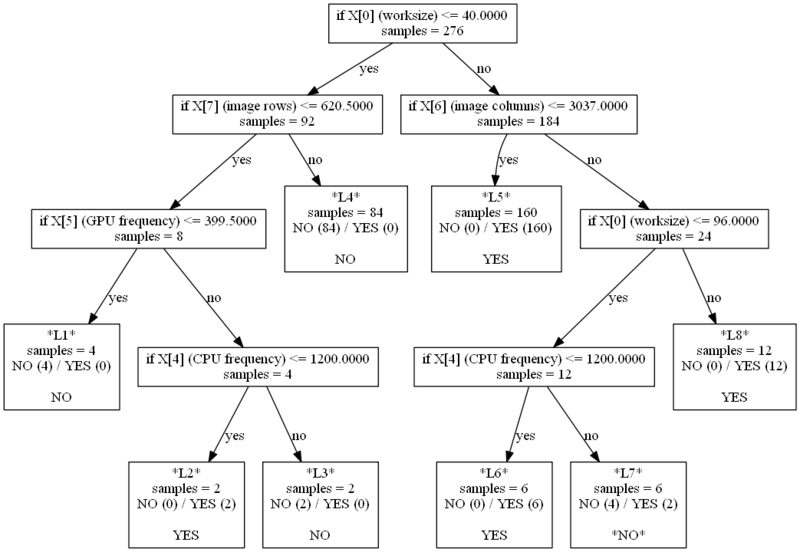 They also demonstrate that it is possible to use CK to balance decision tree's prediction rate (accuracy) versus size and speed to ensure that the ultimate decision tree implemented in C and embedded in a kernel wrapper is fast and compact enough.